"PIQuoteDirect provide excellent cover at an affordable price. You will be very happy with their friendly and efficient service." PIQuoteDirect are part of the Bedford Insurance Group based in Tolworth, KT6. 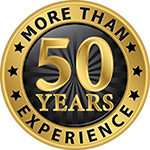 Founded in 1965, we have gained a wealth of knowledge in the Professional Indemnity Insurance market and have found that most of our new enquiries come through recommendations.